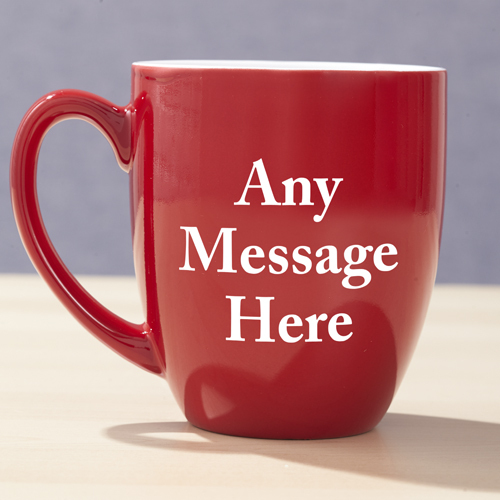 Personalized Any Words Red Coffee Bistro Mug. Welcome your family and friends to a warm coffee or hot chocolate mocha drink with you beautiful bistro mug. The mug is perfect for enjoying warm beverages on a cold night or tea. It's the perfect time to give a family member or family friend a beautiful mug. The mug is perfect for office, home or a family gift.